We never stop improving our mobile apps to offer you the best VPN experience out there. As for our Android app, those 5 million downloads from the Google Play Store definitely keep us going. The recent update for the Android app includes improvements and important changes we want to tell you about. 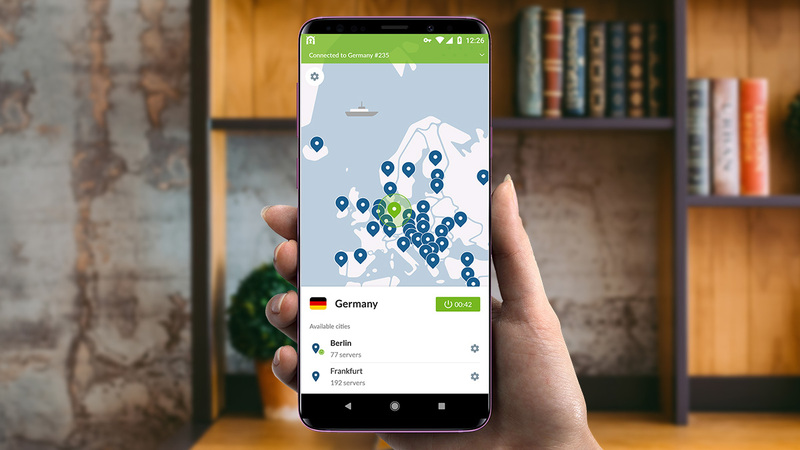 The latest version of the NordVPN app for Android comes with a bunch of improvements you’ll notice right away. This time, our development team put their focus on user experience, so when you use the newest app version, it should feel different in a good way. It’s all in the feel, they say, so we rolled up our sleeves to make the app navigation smoother than smooth. We added more flowing animations when switching between ‘cards,’ for example, when browsing servers – from the main list with countries, going further into cities and then to specific servers. Test it out now! We have been redesigning our app step by step, introducing some UI changes with every release. The settings section wasn’t the first one in line to get a fresh look, but now we’re on it. Instead of being a ghost from the past, now it matches the new sleek app interface. All the same controls, only manageable more intuitively. The app is now more compatible with small-screen devices. For example, sometimes long country names were displayed awkwardly before the update, so we got it fixed. Speaking of other fixes, we got rid of a really pesky bug. The ‘Disconnect’ button in the notifications center wasn’t working correctly, making it difficult to disconnect from the VPN while experiencing internet connection hiccups. Not anymore! Despite of all of the improvements rolled out, for us this app release was the most bitter one hands down. Here’s why. We got a notice that our beloved ad-blocking feature is no longer welcome in the Googleverse, and it must be sent to the black void of space. The ad-blocking feature has always been one of the CyberSec security suite cornerstones, making the Internet browsing better – less distracting, with websites loading faster, and letting our users save some precious mobile data. But to meet Google’s policies, we had no other choice but to strip it down. So what happens to CyberSec? The CyberSec feature no longer blocks ads on the NordVPN app downloaded from the Google Play Store. It does, however, keep protecting you from malware and other cyber threats – only its superpower to shield you from ads is gone. However, the ad blocker is still available on the .apk version of the app offered exclusively on our website.